Brother DCP-373cw Printer That time when you call for acquisition of NEW Brother DCP-373cw ink cartridges can set you back a considerable amount whilst you're NOT receiving as much as you should be in terms of ink quantity! 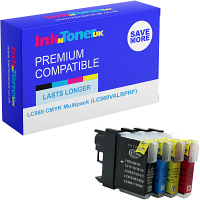 The Brother DCP-373cw ink cartridges purchased from us, at InkNTonerUK are superior in terms of the quality provided, and have a long lasting life span as ink capacity is filled to the full quantity possible! - Money-saving is made feasible, as the costs we charge to purchase our Brother dcp-373cw ink cartridges are at appreciably cut-fees, you can NOW purchase MORE of the cartridges you NEED, on a recurring basis! 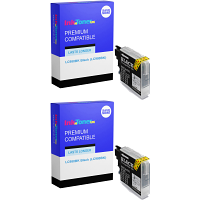 - Don't let our other patrons be the only ones, Join our extensive clientele and be constantly content with the service and products you've received, acquire your NEW Brother DCP-373cw ink cartridges right here, right now! The Brother DCP-373cw printer is a favourable 'All in One' appliance Fitting in, in any environment which entails the service of printing. Its diminutive volumes make it ideal for smaller medium sized offices and in the household! 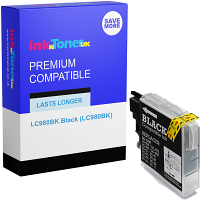 As there is NOW an ease of acquiring more Brother DCP-373cw ink cartridges more often from InkNTonerUK, your Brother DCP-373cw printer can now get used to its full potential to what you require! 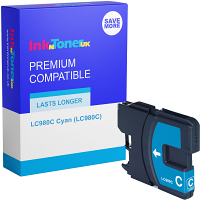 The DCP-373cw is 'Energy Star' qualified, a supplementary benefit to your NEW Brother DCP-373cw ink cartridges So 'Bookmark' this page, to have a straightforward method of being directed right here for regular purchase of NEW economical Brother DCP-373cw ink cartridges!